Michael and Lauren met on 1/11/11, during their freshman year of college - but it was a few years later, on a medical mission trip to Peru, that their bond truly strengthened. After that trip, they were inseparable. As they grew closer, their favorite pastime became long walks, talking and learning more and more about each other - and falling in love. Michael and Lauren wanted a classic autumn wedding with a timeless look and feel. They got married on 11/11/17 (keeping the 1 theme from the night they first met), in a gorgeous venue with wide open windows that allowed in the gentle sunlight and put the fall leaves on display. Every detail of their special day was thoughtfully put together - a map of Peru, photo collages, coffee & donut puns, and handmade wedding favors injected so much of Michael and Lauren’s personality into the celebration. October 28th, 2017 was pretty special, too. Their dating anniversary became their wedding day, and it was filled with countless moments that felt just like Carter and Erin - classic, but trendy; romantic, but with plenty of laughter stirred in. They chose a simple color palette at the gorgeous Graystone Quarry. The day was unusually cold, but the ceremony was filled with the warmth of family, from an uncle officiating the ceremony to a cousin singing as Erin walked down the aisle. Music held some of the most precious moments for Carter and Erin - their favorite memories from the wedding include How Great Thou Art being sung during the processional, and their first dance to the romantic La Vie en Rose by Louis Armstrong. 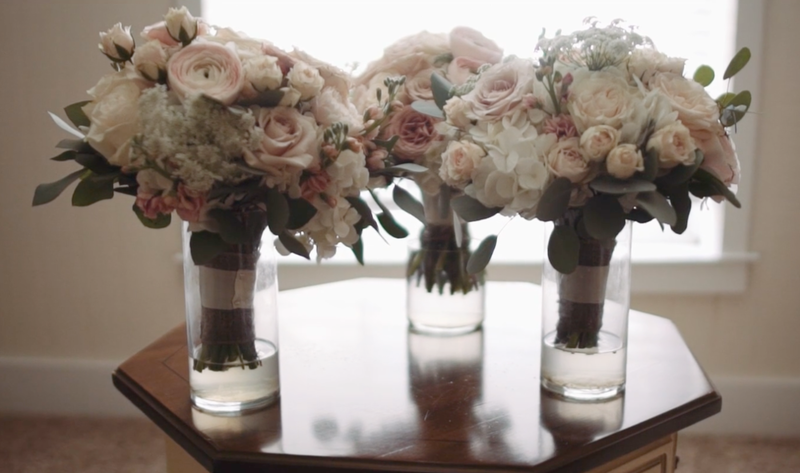 After seeing one of Matt G’s videos, Carter and Erin knew they wanted us to capture their special day, and we were honored to be a part of this classic romance. From the first look to the final wave, every moment was full of meaning. Carter and Erin were sent off to their honeymoon with a special surprise fireworks display - we think it was the perfect lighting to send them into their happily ever after.